Archaeologists excavating the route of the Lincoln Eastern Bypass highway in Washingborough, just outside of Lincoln city, Lincolnshire, have discovered a stone sculpture of the Muppet Gonzo that dates to the Middle Ages. Technically it’s a corbel, carved in the shape of a grotesque of the beakhead type, terminology that I’m sure is deeply offensive to members of the Gonzo species, whatever that might be. The Romanesque style dates it to the middle of the 12th century when it was probably used to adorn a church or chapel. The bug eyes, long, downward-facing beak or nose, not to say the human face between its jaws, were intended to strike fear in the heart of the congregants, to avoidance of sin and failing that, repentance so as to avoid being devoured by beaked demons from Hell. Beakhead corbels were particularly in vogue in the century or so after the conquest of Britain by the Norman French in 1066. Before then, most village churches were simple wooden buildings, but William the Conqueror’s invasion force and their descendants set about rebuilding in stone, driving home the message that they were now the new landowners. Our example is particularly finely sculpted. The exact source of the Gonzo-faced corbel is unclear. It’s possible that there was a carving workshop there instead and our cruelly and unfairly maligned Muppet friend was made on site but intended for another destination. The Network Archaeology team has found evidence there was an extensive medieval monastic grange nearby that was active from the Norman Conquest until the Dissolution of the Monasteries. It was sure to have had a chapel and the corbel could have come from the grange’s early years. The contract archaeology firm has been digging along the bypass route since September 2016 and they have unearthed an unprecedented wealth of artifacts and human remains from every major time period — Mesolithic, Neolithic, Bronze Age, Iron Age, Roman, Anglo-Saxon, Medieval, Post-Medieval. 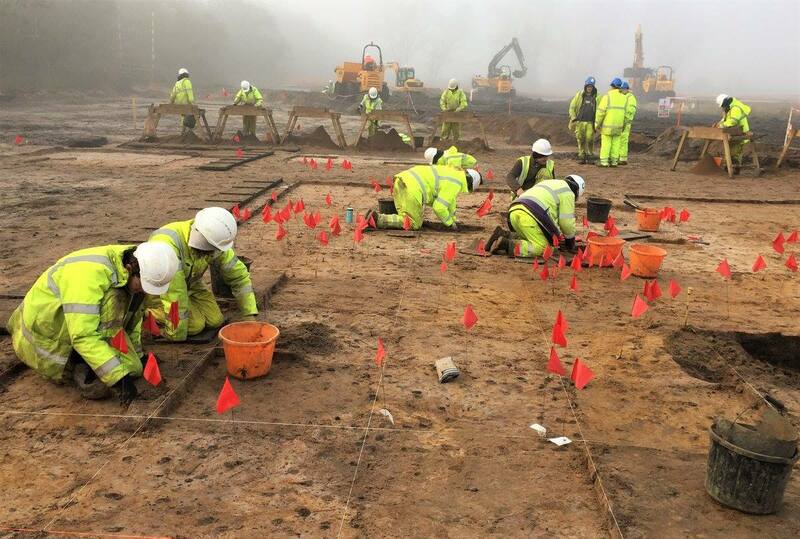 The team has recovered 40,000 objects and pieces of archaeological material, including flint weapons and tools going back as far as 12,000 years ago, Bronze Age barrows, pottery, intact and in fragments, the foundations of several stone buildings, lime kilns, pottery kilns and wells from the Roman period, and more than 150 skeletons dating to the Middle-Saxon period (700-900 A.D.) given a Christian burial. The Lincolnshire County Council has a big photo album of the discoveries on their Facebook page. 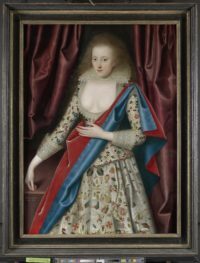 The Yale Center for British Art recently acquired a portrait of a young lady by renowned Jacobean painter William Larkin. The panel painting is believed to be a depiction of Lady Jane Thornhaugh, wife of Sir Francis Thornhaugh, because its ownership history can be traced back through family inheritance to an 18th century Thornhaugh. The inscription provides a date for the portrait — 1617 — and the age of the subject as 17. Assuming on solid grounds that the sitter was a Thornhaugh, only Lady Jane could fit the date and age. William Larkin’s portraits of early 17th century aristocracy and nobility capture more than just the individuals’ looks. They are invaluable records of the fashions, textiles, accessories, furnishings and styles of the most rarified denizens of James I’s court. Lady Thornhaugh’s gown in this portrait provides a glimpse into the playful motifs popular in Jacobean times, and is even a little scandalous, and I don’t mean the more than generous décolleté. 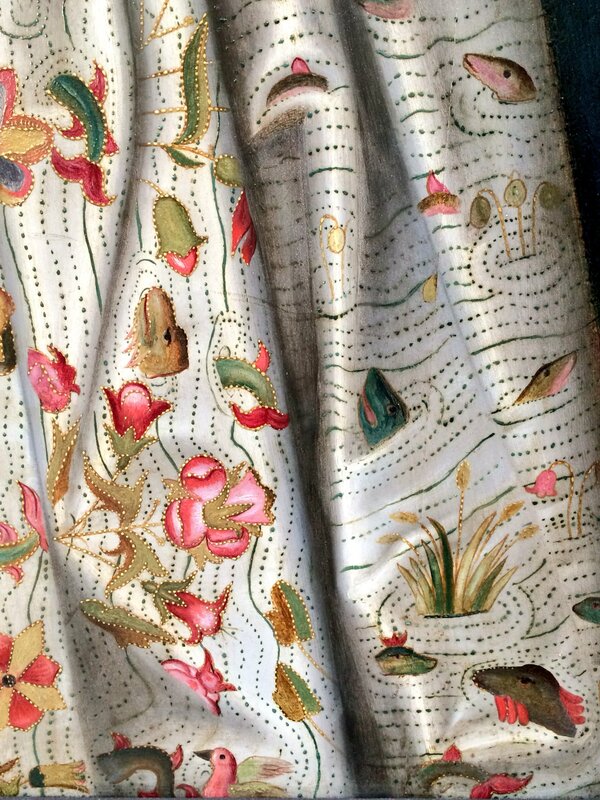 She is wearing a masque costume with a pale yellow lace collar and a silk gown embroidered with fantastical flora and fauna, including insects, birds and numerous sea monsters diving in and out of the embroidery. As if that weren’t cool enough (and it is), the yellow color of her lace collar and cuff is a nod to a huge scandal that rocked high society shortly before the portrait was painting. It all started with a poem in praise of the ideal wife. The poet was Sir Thomas Overbury, one of King James I’s favored courtiers. He introduced his bestie Robert Carr to court and Carr quickly rose in the ranks of the king’s retinues, soon becoming his favorite and among the most powerful men in England. Overbury was seen as Carr’s puppetmaster, largely because he was. When Carr began an affair with Frances Howard, Countess of Essex, Overbury protested that it would harm his standing at court as she was notoriously unchaste. Carr ratted him out to Frances Howard, so when Overbury wrote and circulated A Wife, she was sure that was a direct hit on her as the embodiment of none of those wifely virtues. The Countess schemed to take Overbury down, spreading malicious gossip about him and then convincing the King to offer him an ambassadorship to Russia which Overbury would turn down, offending James. Overbury got thrown in the Tower of London for that offense, and was dead within months. Two months after Overbury’s death, Frances Howard had successfully secured an annulment from her husband and remarried to none other than Robert Carr. That’s when the rumors started that there was some kind of shenanigan afoot. Overbury had died too conveniently and too quickly. Could Frances Howard have had a hand in it? It took two years for anyone to look into it, but when King James I reluctantly agreed to an investigation, famed jurist Edward Coke and philosopher and statesman Sir Francis Bacon were selected to lead it. The trial in 1616 revealed that Frances Howard had definitely had a hand way up in it. She had replaced the Lord Lieutenant of the Tower with one of her minions and got a new gaoler appointed to tend to Overbury. The gaoler, Richard Weston, poisoned Overbury with sulfuric acid. He was aided in this by Anne Turner, another minion of Frances Howard’s who was well-known for her skills as a yellow starcher who produced the pale yellow collar and cuffs so favored by the fashionable set at court and so sharply detailed in Larkin’s portrait. Frances Howard and Robert Carr were convicted of the murder, but quickly pardoned by King James. Anne Turner was hanged from her neck until dead, a neck adorned, as poetic justic would have it, with a yellow starched ruff. 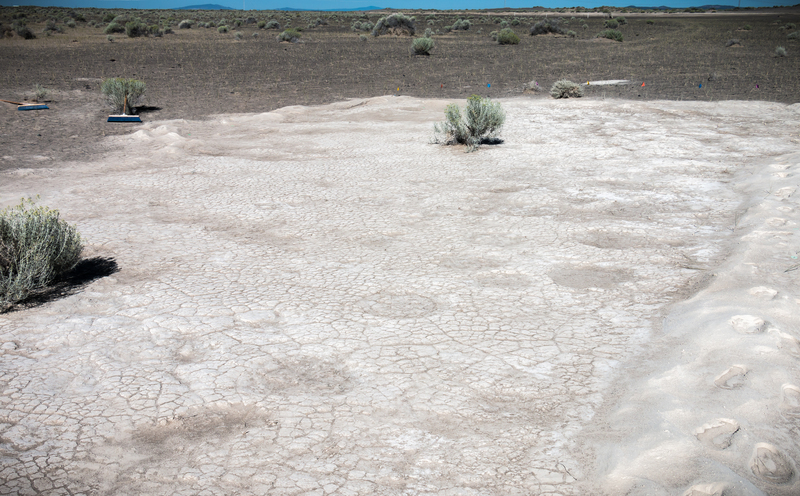 A team of scientists have unearthed a Pleistocene-era Columbian mammoth trackway at Fossil Lake, Oregon. 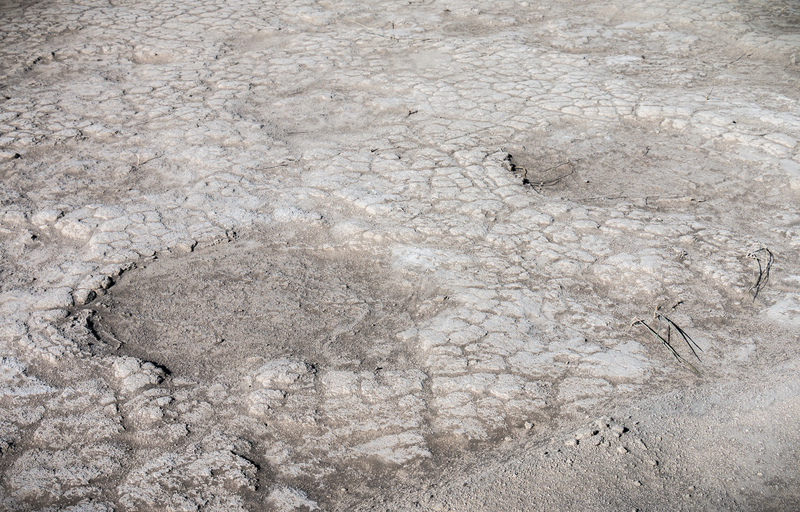 The fossilized footprints are about 43,000 years old and include tracks left in the volcanic soil by adult, juvenile and infant mammoths. There are 117 footprints, a large enough number and wide enough range of ages that studying the track will lend new insight into how mammoths interacted with each other as a herd. The first footprints were discovered in 2014 by paleontologist Greg Retallack of the University of Oregon’s Museum of Natural and Cultural History during a field trip with UO students to study fossil plants. The site is administered by the Bureau of Land Management, so last year BLM researchers partnered with researchers from the University of Oregon (including Retallack) and University of Louisiana researchers to explore the trackway. Initially, the UO-led team, which included Adrian Broz, now a doctoral student of Retallack’s who had been in the fossil class, quickly zeroed in on a 20-footprint track exhibiting some intriguing features. 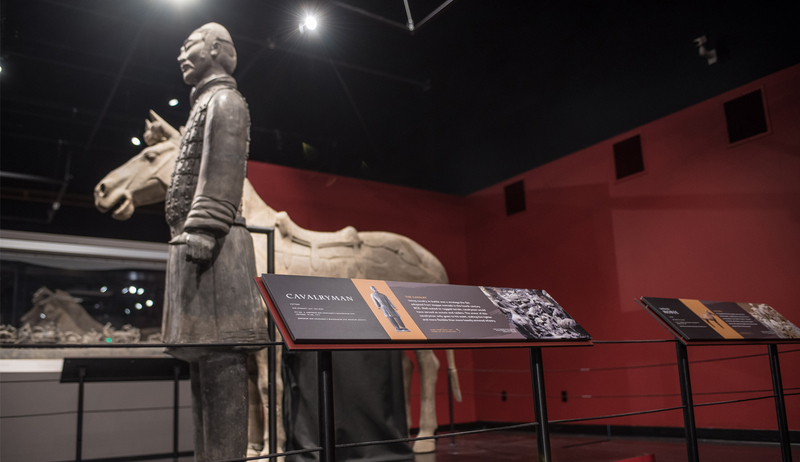 “These prints were especially close together, and those on the right were more deeply impressed than those on the left — as if an adult mammoth had been limping,” said Retallack, who also is a professor in the Department of Earth Sciences. 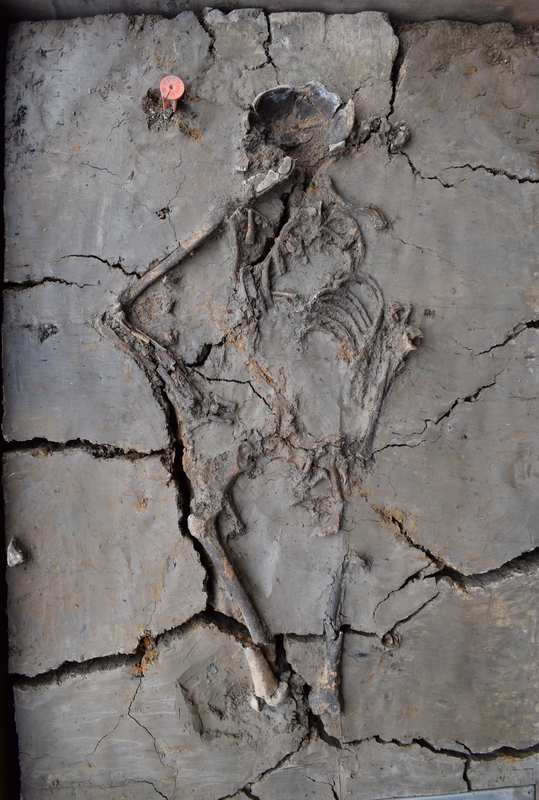 The limping animal wasn’t alone, the six-member research team reported in a study published online ahead of print in the journal Palaeogeography, Palaeoclimatology, Palaeoecology. Two sets of smaller footprints appeared to be approaching and retreating from the limper’s trackway. Trace fossils such as those found in trackways can provide unique insights into natural history, Retallack said. 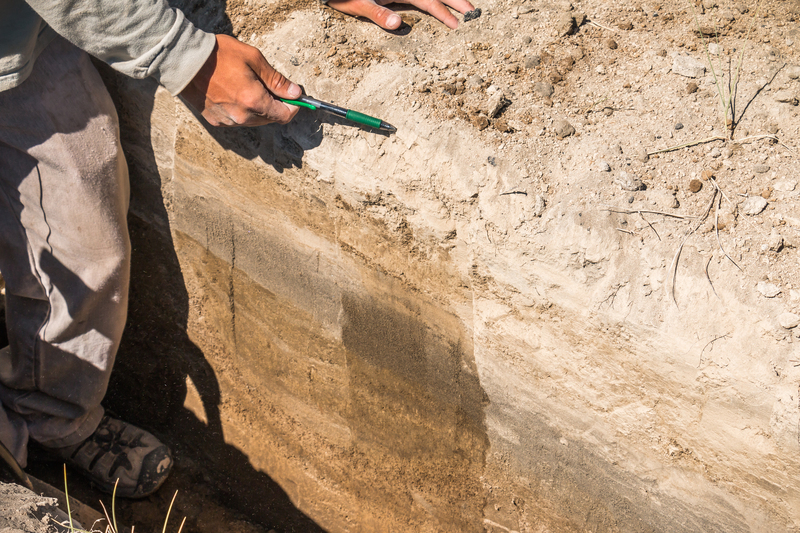 The team also studied the soil layers at the trackway site. It appears the climate and plants in the Fossil Lakes area in the Ice Age were not dissimilar to its modern counterpart, although the lakes were larger, it was drier in the summer and precipitation was higher in the winter. There was also more lowland grassland, one of the Columbian mammoth’s preferred foods. The mammoths and other grass-eaters (a prehistoric horse print was also found at the trackway) were essential to the grassland ecosystem. They fertilized it with their dung and suppressed other plants by trampling and uprooting them during grazing. It’s likely that the fertile grassland of the Ice Age succumbed to desertification after the extinction of the mammoths and other large native grass-eaters 11,500 years ago. Hence the dry lake beds and their precious cargo of fossils. The study, still in the corrected proof stage, is available for purchase here. 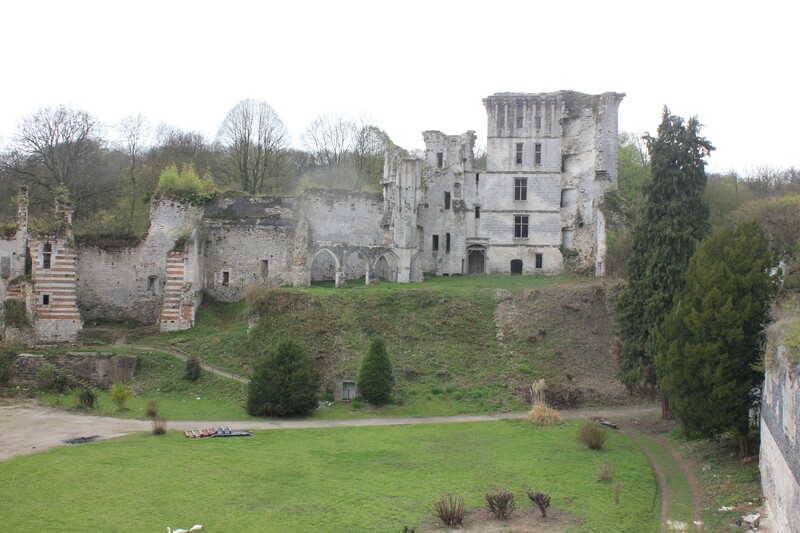 The Château de Tancarville, a historic castle near Le Havre in Normandy largely built in 18th century incorporating remnants of earlier structures going back to the 11th century, is in a parlous state. The current owners, an association of a dozen footballers chaired by midfielder Rémi Gomis, now a member of the Swiss team FC Wil, acquired it in 2013, receiving a tax exemption from the government premised on the stipulation that they would see to its renovation. The idea was to convert the remains into rental apartments. It didn’t happen. Nothing has happened. The town hasn’t heard from these guys since early 2017 when a law firm representing them made contact. Since then, it’s been complete radio silence as the castle falls to pieces. 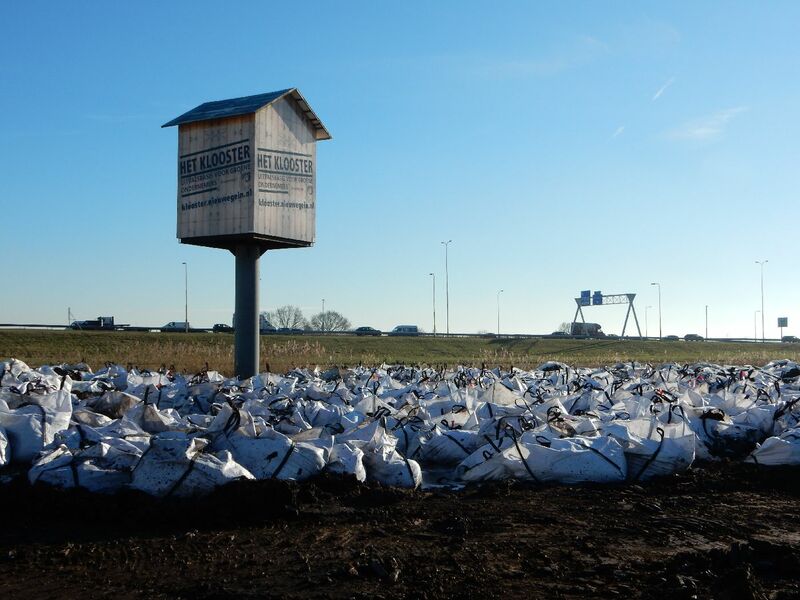 The silence of the owners worries the mayor even more as the site is gradually deteriorating: wild vegetation, unsecured wells, stones that gradually break from the medieval ruins … [Mayor] David Sablin had to take measures to ensure the safety of places. 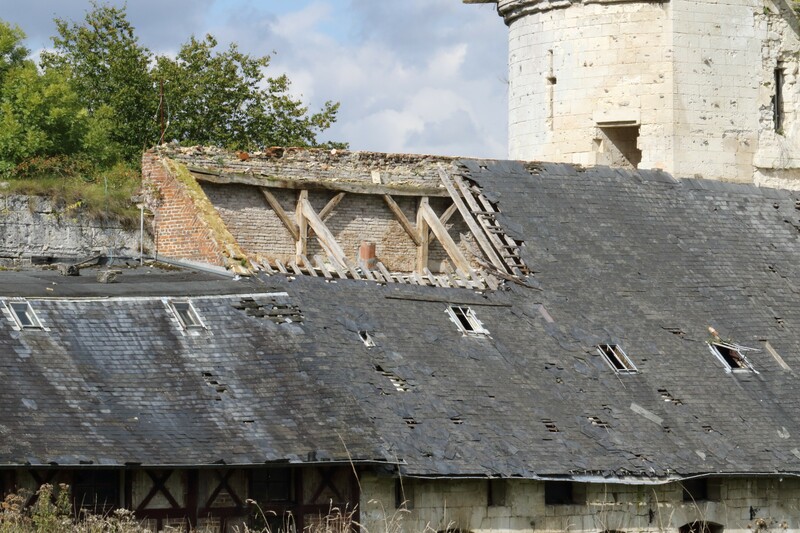 Left without maintenance, the remains dating back to the 12th century deteriorate. Below the rocky outcrop, the parking of a carpool area is threatened by falling rocks. Finally, regular intrusions on the site have been noted. Sometimes devastating for this heritage at risk. 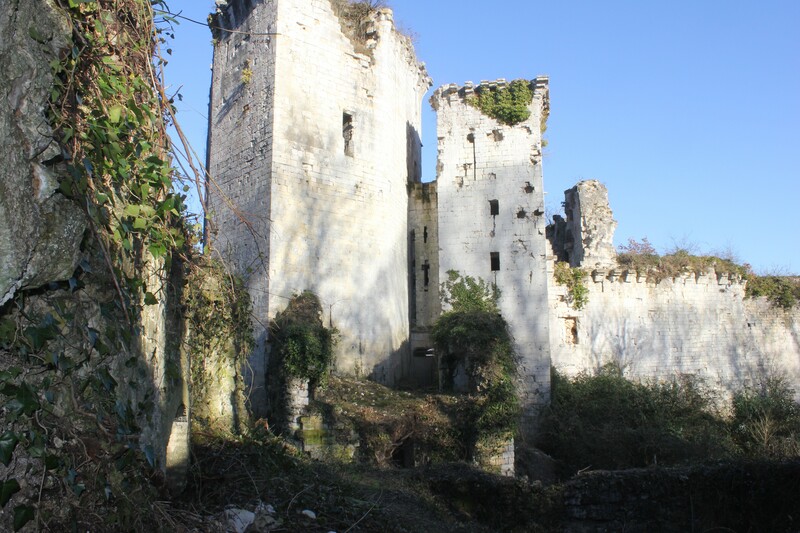 Jean-Loup Diviné, president of the association of the Friends of the Castle of Tancarville, is also in constant fear at the deterioration of the site. 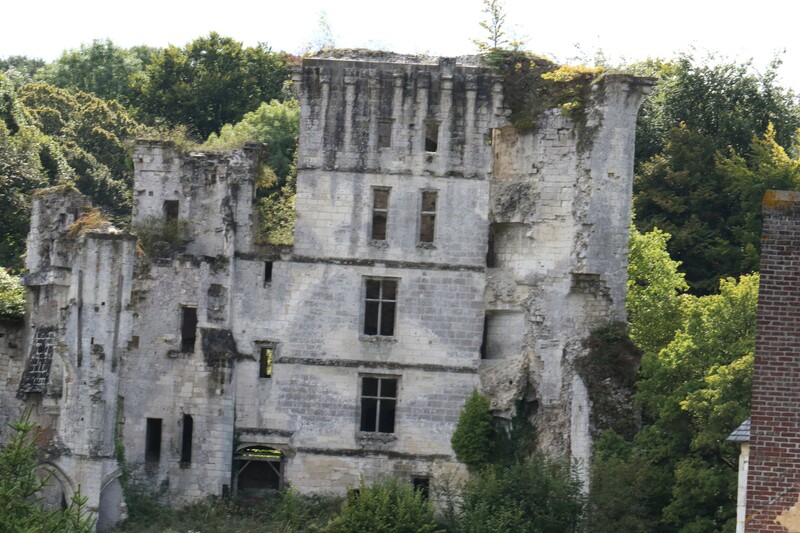 The castle’s revival was cut short by the French Revolution. It was pillaged and sacked to the point of near-destruction. By 1793, it was in ruin. With the restoration of the monarchy in the 19th century, the castle’s fortunes took a positive turn. It was restored for the Count Leonce of Lambertye, a preeminent gentleman botanist whose books were widely read in scientific circles, in the mid-1800s. 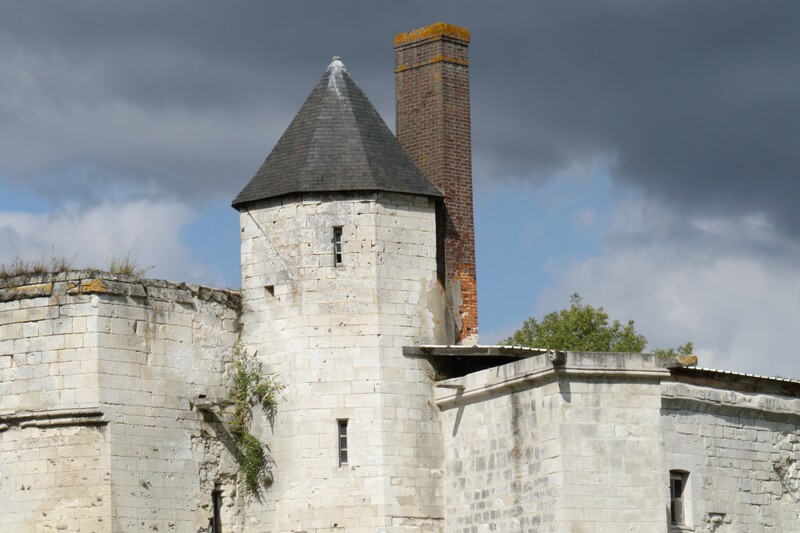 It was listed by the French government as a historic monument in 1862. Staring in the 1990s, the castle passed through numerous hands. It has at various points been a private home, an art gallery and a restaurant. The sale to the association was a Hail Mary pass, a less than ideal plan for the preservation of the architecture, but the only option left that would keep the walls up in some form. 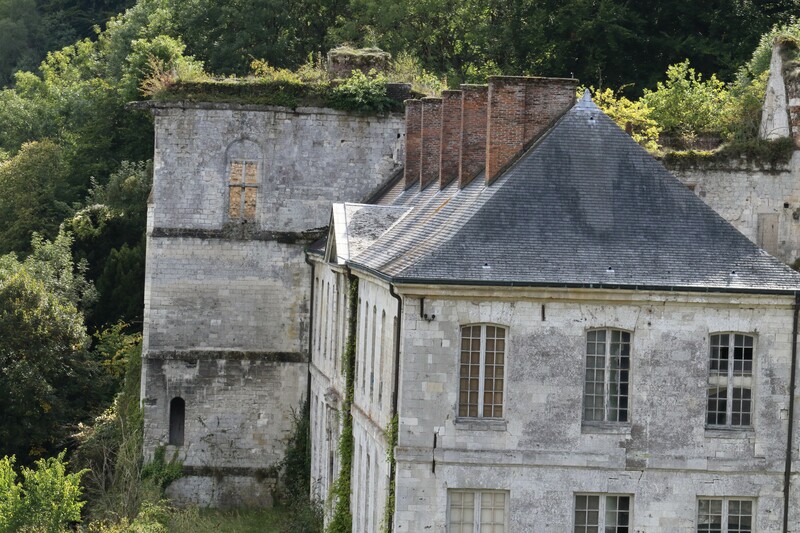 Now that those hopes have proved vain, the Friends of the Castle of Tancarville have reached out to journalist, television and radio presenter and expert in royal families Stéphane Bern who has recently been charged by President Macron with creating a list of monuments and historic structures in France that are in particular peril and helping to secure financing for desperately-needed repairs. Inclusion on that list, or even just getting the word out on a national stage, might spur the owners into actually keeping to the terms they agreed to when they bought the property. 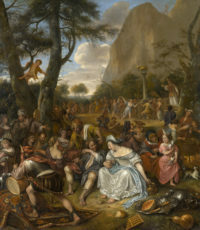 A work in the Royal Museum of Fine Arts Antwerp (KMSKA) long believed to be an 18th century copy of Jan Steen’s The Mocking of Samson has been identified as an original painting by the Dutch Golden Age master himself. 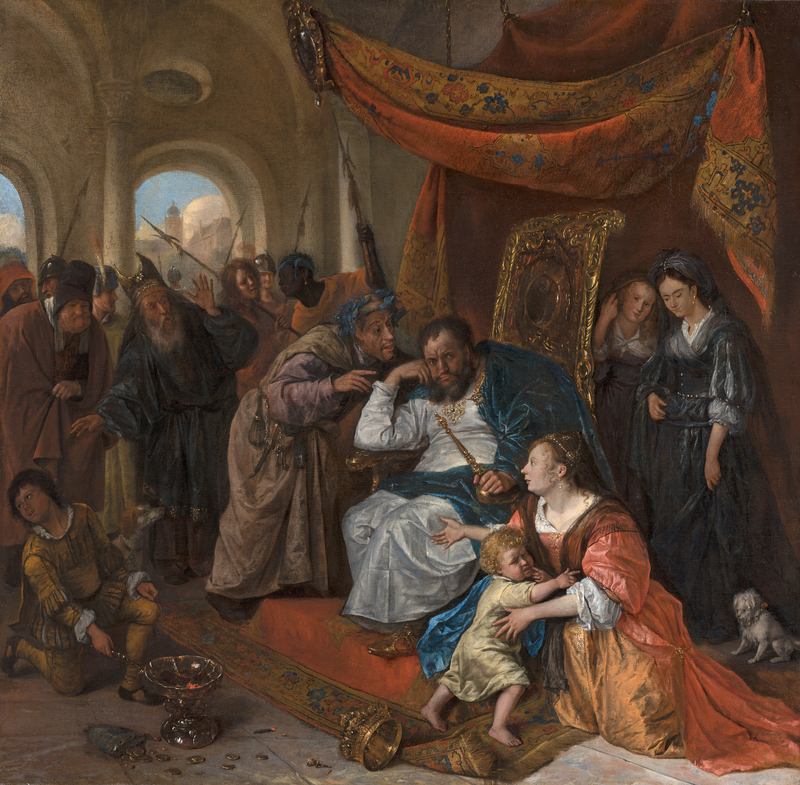 The KMSKA, currently closed for renovations, sent the painting to the Mauritshuis in The Hague as part of a long-time collaboration that has born such extraordinary fruit that a new Jan Steen has now been added to the museum’s permanent collection. 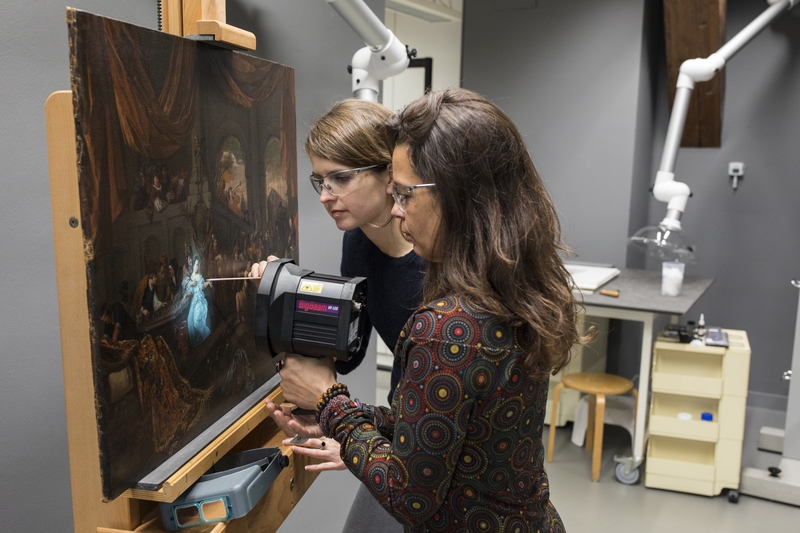 The painting caught the eye of Mauritshuis conservation experts when they were considering which works were good candidates for inclusion in the upcoming exhibition dedicated to Steen’s Histories, i.e., his depictions of scenes from Biblical and Classical mythology. 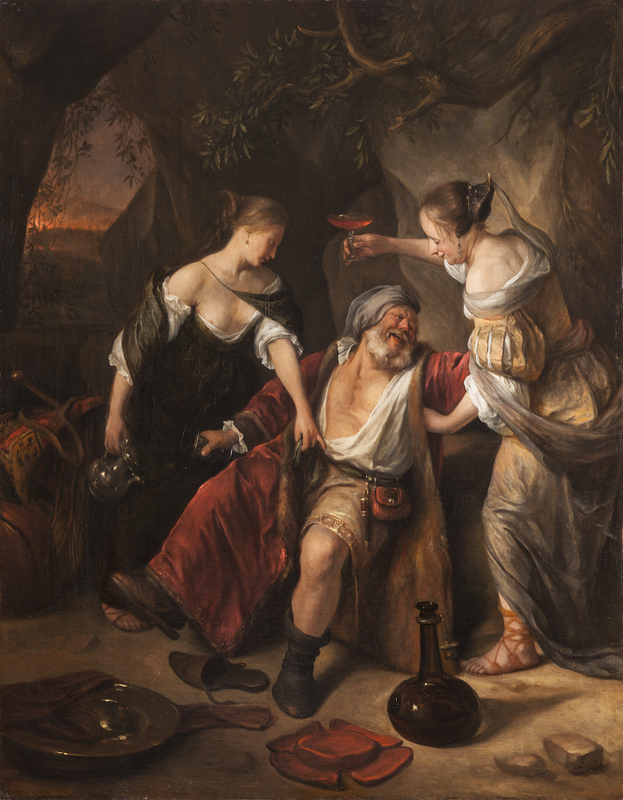 Emilie Gordenker, director of the Mauritshuis: “During the process of selecting the loans for the Jan Steen’s Histories exhibition, our curator Ariane van Suchtelen had a strong suspicion that The Mocking of Samson was not a copy, but had actually been painted by Jan Steen himself. 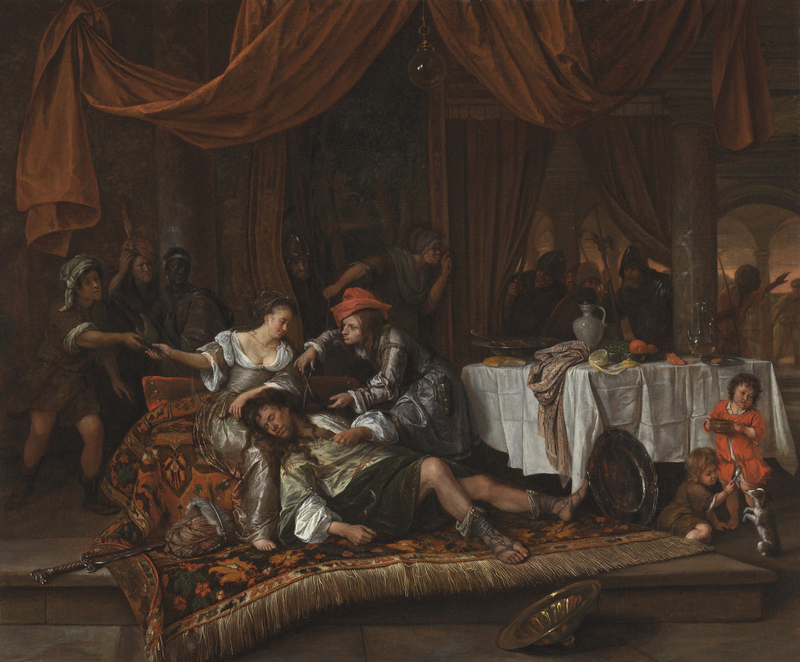 Conservators were surprised to find when looking at the back on the canvas that unlike most 17th century paintings, Samson had never been relined. The practice of gluing a second canvas to the back of the first to support it was widespread, but this painting was the original canvas alone still on its original strainer (fixed wooden supports that, unlike stretchers, cannot be adjusted at the corners to tighten the frame when the canvas slackens) attached with its original nails, no less. Fragmentary evidence added more authentic detail. 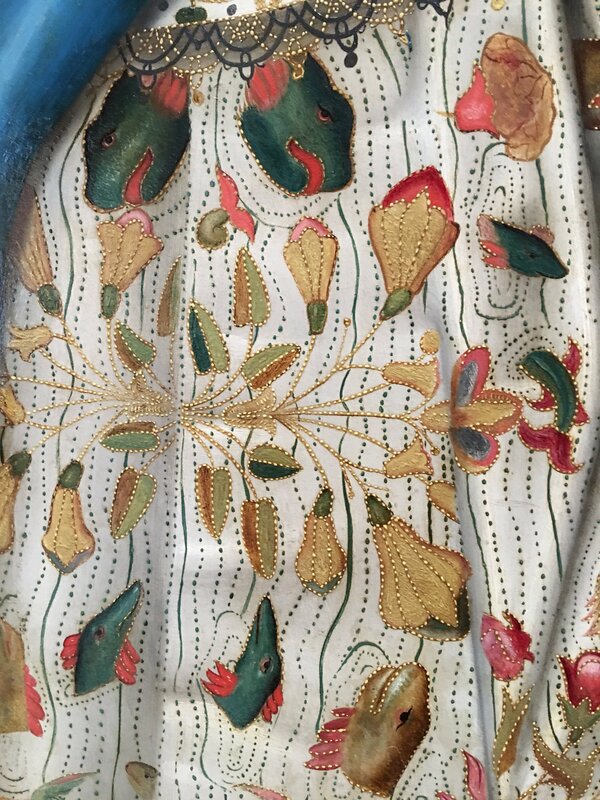 There are additional holes at the canvas edge where string had once been threaded through to connect the canvas to the frame when Steen was creating the painting. Some fragments of that string are still in those holes. 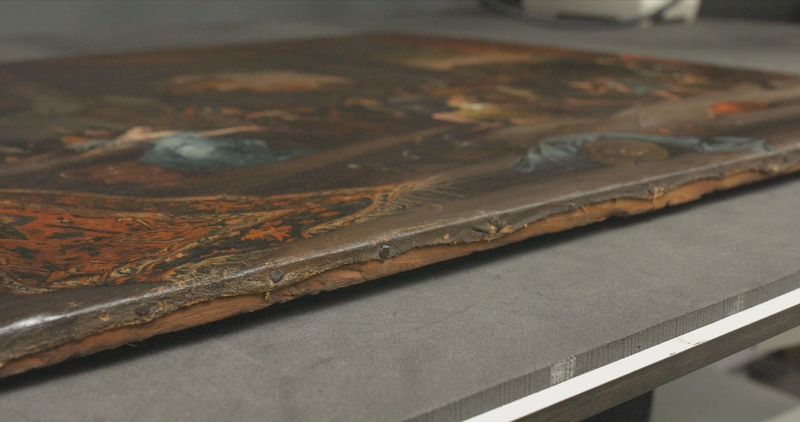 Then, when the yellowed and cracked varnish layer on top of the painting was removed during conservation, the paint itself was found to be in superior condition, with brilliant colors, clear brushstrokes and negligible wear and tear. It’s very rare for a 17th century painting to make it to the 21st in such exceptionally good condition. Perhaps its years of misidentification was salutary to its long-term survival, as nobody bothered trying to restore it with practices that would later prove destructive. 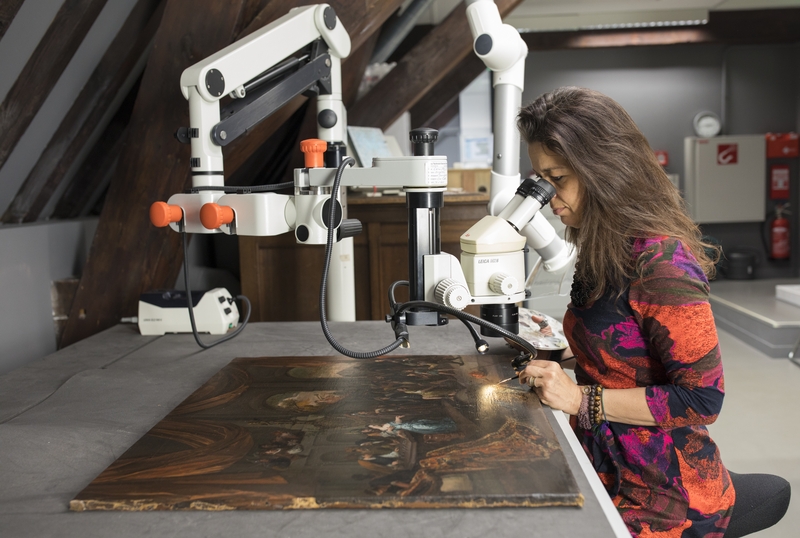 The Mauritshuis has been working assiduously with Shell researchers for six years in an attempt to pin down the chronology of Steen’s oeuvre. 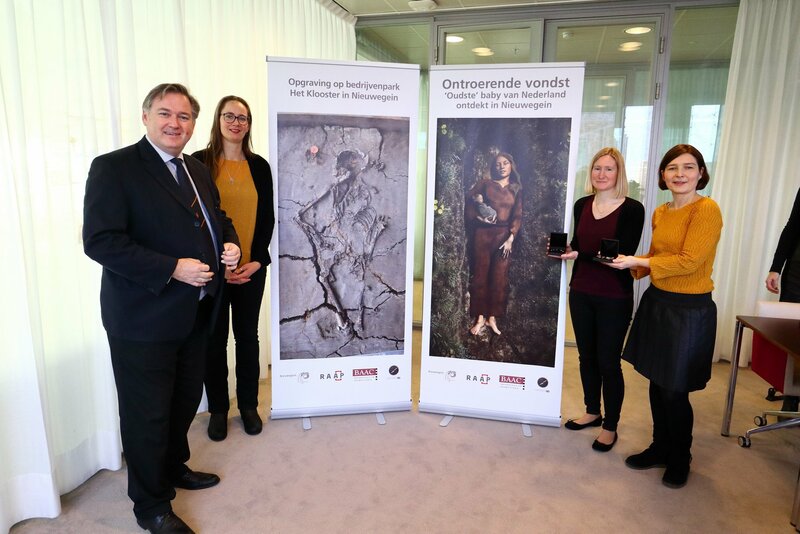 Very few of his works have firm dates — about 10% of his surviving paintings — so museum experts have teamed up with experts at the Shell Technology Centre in Amsterdam to examine as many Steens as possible. They use a scanning electron microscope with energy dispersing X-rays to examine the pigments and determine the chemical makeup of the paint and the concentrations of each element. One of the pigments, a bright green earth color that wasn’t used much in the 17th century, appears unusually frequently in Jan Steen’s late period shortly before his death when he had returned to his hometown of Leiden. As luck would have it, The Mocking of Samson also contains the tell-tale green earth pigment. It was used in the stash of the standard-bearer on the right. That dates the work to the 1670s. 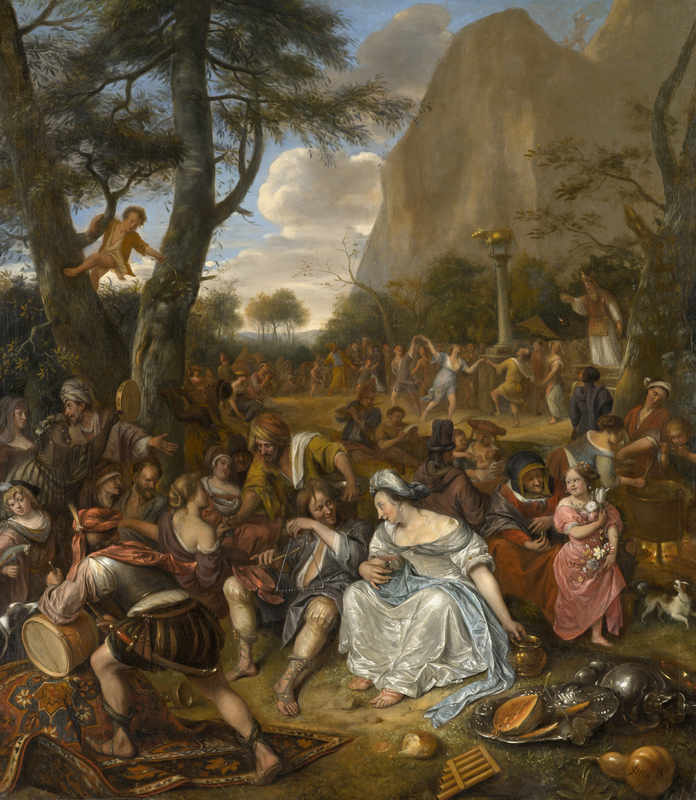 The newly rediscovered painting, now fully restored and ready for primetime, will join its thematic brethren in Jan Steen’s Histories when it opens at the Mauritshuis on February 15th. 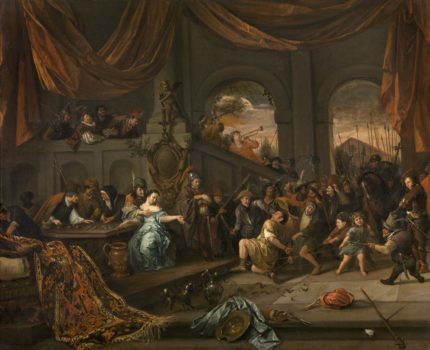 Once some of his most popular and expensive paintings, Steen’s histories fell out of fashion in latter part of the 18th century. His humorous, playful, juicy depictions of the great soap opera-like dramas of Samson and Delilah, Lot and his daughters and the worshipping of the Golden Calf, so enjoyed by 17th century patrons, were held to be in poor taste a century later, and were somewhat ostracized by collectors and institutions. Even the Mauritshuis only added one of Steen’s history paintings to its fabled collection in 2011. That’s a long time for a category of works by such an important artist to be on the outside, lurid little faces pressed against the glass. 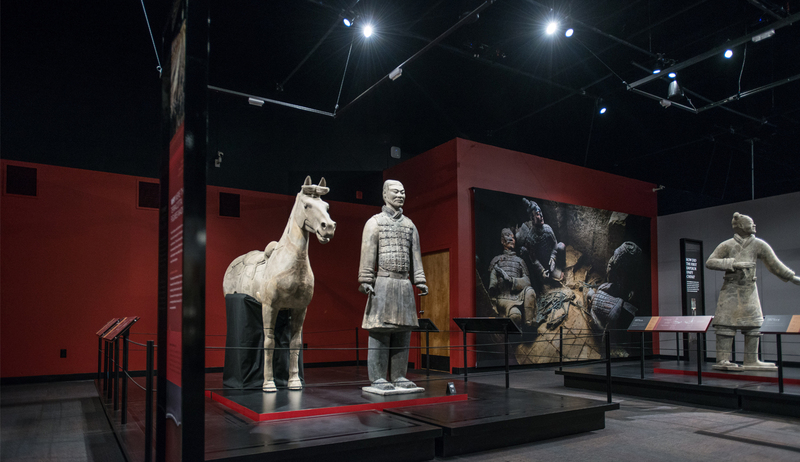 The museum is making up for lost time by putting on this exhibition with the work in its collection, Moses and Pharaoh’s Crown, and loans from other collections around the world. If you’re at a loss on how to fritter away some time this weekend, I have a solution for you. Watch a couple of videos about the hoard of Bronze Age weapons discovered at the former Newton Farm in Carnoustie, eastern Scotland. The first video captures the excavation in GUARD Archaeology’s Glasgow laboratory of the soil block containing the hoard. When I first wrote about this story last February, the only video available of the painstaking excavation of the 175-pound block of soil was a continuous scene a few seconds long of archaeologists scratching at the soil in minute movements. This video, uploaded to YouTube in December, summarizes the excavation and finds. There’s still minute scratching, which is awesome, but there’s so much more, plus descriptions of what you’re seeing. In addition to the sensational weapons hoard, postholes and pits from two Neolithic rectilinear timber halls, one the largest Neolithic structure ever discovered in the British Isles, and gulleys and hearth remains from at least 12 Bronze Age roundhouses were found at the site. There wasn’t a great deal of information about these finds in February 2017, but in May, GUARD Archaeology Project Officer Alan Hunter Blair delivered a lecture packed with details, photographs and diagrams of the structures. That lecture is now available on YouTube. He also covers the discovery of the hoard, its excavation in the lab and includes great pictures of the organic remains like the pouch the spearhead was found in and the fragment of strap still attached to the pommel of the sword. That part begins around the 15:45 mark. I should warn you that he speaks very quickly, which is both a blessing and a curse. The former because it keeps the video nice and short at about 20 minutes; the latter because he zooms through it without looking up from his paper so delivery is a little dry and rushed. The information is fascinating, however, and the visual aids illuminating so it’s well worth watching. 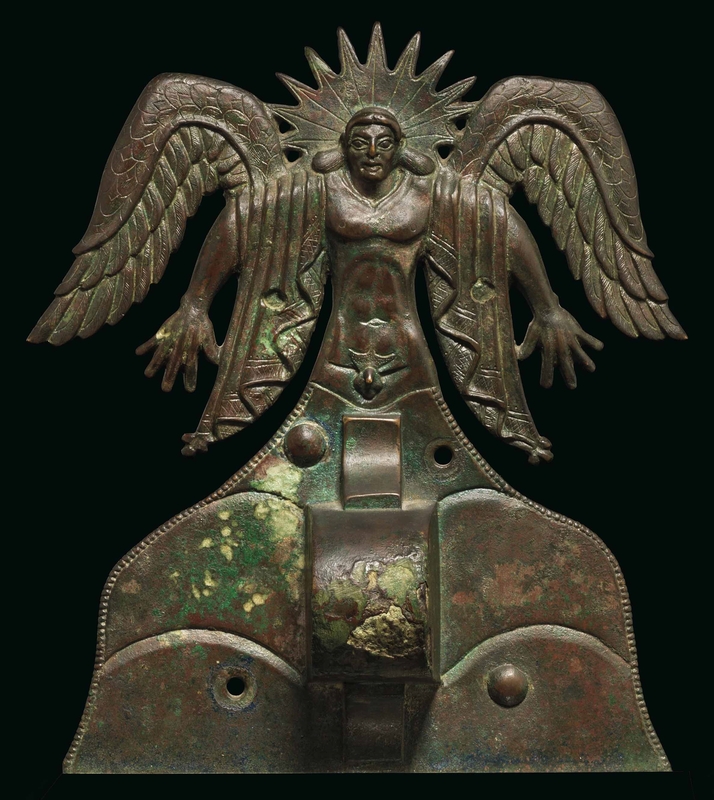 The J. Paul Getty Museum is the proud new owner of an exceptional Etruscan bronze appliqué depicting the sun god Usil. Dating to the early 5th century B.C. (500-475 B.C. ), the striking piece is eight inches high and features Usil standing with arms at his sides, fingers splayed, a nimbus of solar rays adorns his head and large wings spread from his shoulders. He wears a mantle draped over both shoulders and a diadem. As with the Greek and Roman sun deities, Usil drove the sun from the eastern sea west across the sky on his chariot, and it’s likely this piece was used to decorate just such a vehicle, albeit a more terrestrial iteration. The back of the bronze is unworked and flat and there are four places for attachment pins (two pins have survived) in the center and base which were used to mount it to something made of wood. Etruscan nobles were often buried with their chariots, and ornaments like the bronze appliqué of Usil would be attached to them to link them to the mythological motif of the sun being driven through the sky. 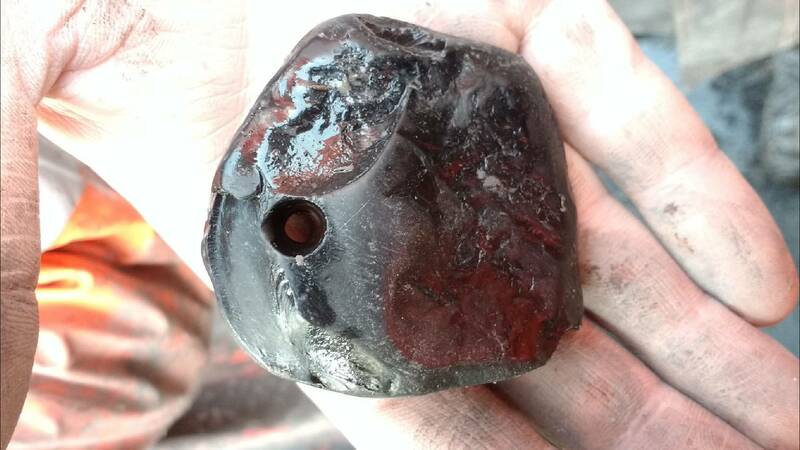 A very similar fitting was discovered in excavations between 1760 and 1775 at the Roma Vecchia estate on the Appia Antica by gemstone carver Antonio Pazzaglia. This was the first conscious discovery of an archaic chariot, although people at the time thought it was Roman, not Etruscan, and Pazzaglia put the extant pieces back together in something of a fanciful manner with interpolations from other locations and time periods, a commonplace practice at the time. 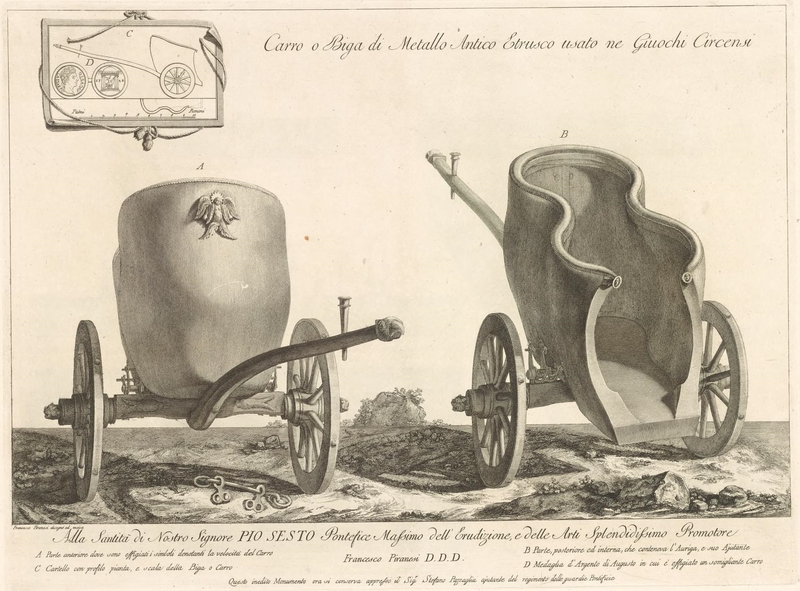 Engraver Francesco Piranesi, eldest son on the famous documenter of antiquities Giovanni Battista Piranesi, indulged in a fancy of his own when he depicted it as a triumphal chariot from the Augustan era in a 1778 he co-authored with his father. It looks nothing like that today — now in the Vatican Museums, it was restored to our best knowledge of historical accuracy in the 1990s — but the print clearly shows the Usil plaque, the first of its kind ever discovered. This plaque was one of four similar ones unearthed in 1845 in the Tomb with the Quadriga in Vulci, a spectacular chariot burial that included the skeletal remains of horses along with the chariot they would have pulled in life. Each of the appliqués are slightly different, with variations in plate form, size, rivet position and facial features, but the evidence suggests they were all made by the same bronze-casting shop in Vulci, a prominent Etruscan city that was known for its outstanding metal work. Two of the plaques from the Quadriga Tomb are in the National Etruscan Museum of the Villa Giulia in Rome and one in the Hermitage Museum in Saint Petersburg. This was the only one of the group in private hands, and is the best preserved of all of them. It sold at a Christie’s auction in December 2017 for £296,750 ($410,400). Now we know the buyer was the Getty Museum. This newest acquisition will go on display in the reinstalled Getty Villa when it opens in April 2018, and will join several related Etruscan bronzes, including a vessel foot depicting Usil in winged boots running over the crests of waves; and a lion head attachment with glass paste eyes, which likely capped the end of a chariot pole. A pair of candelabra with finials of a youth dancing and playing castanets is also attributed to a Vulcian workshop, which produced fine metalware for an international Mediterranean clientele. The appliqué was acquired in the 1920s in Monte Carlo by Sylvie Bonneau-Arfa (b. about 1907), née Fatma-Enayet Arfa, the daughter of the Persian ambassador to the Russian court. In 1970 the appliqué went up for auction but failed to sell and was returned to the family. 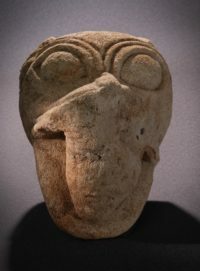 It had been brought to the attention of the Swiss archaeologist Hans Jucker in 1968, and was subsequently on loan to the Historisches Museum in Bern, Switzerland during the 1970s. The Getty acquired it at auction from the descendants of Ms. Bonneau-Arfa. 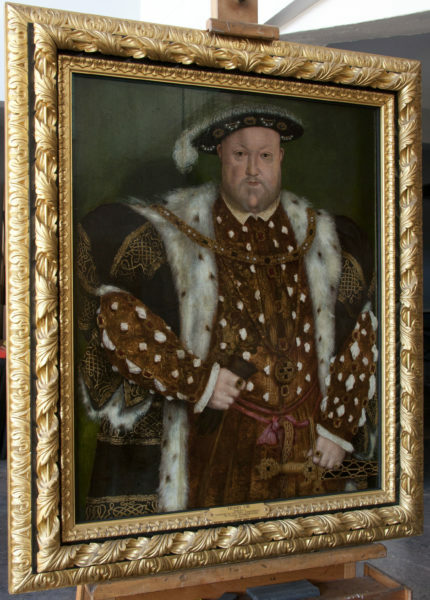 An oil on panel portrait of King Henry VIII in the Bath’s Victoria Art Gallery long believed to be a 19th century reproduction has been found to be a genuine Tudor-era artwork. It was donated to the Bath & North East Somerset Council in the 1800s and was thought to be a copy of a copy. This particular portrait of Henry was originally a mural in his apartment at Whitehall Palace by the king’s favorite court painter Hans Holbein, but the original is long gone. It was destroyed in the fire that burned down the palace in 1698. The Whitehall mural was copied by many artists, and once the mural was lost, the copies were copied. The Victoria Art Gallery’s version is of higher quality than most of the other later copies, however, so when the painting had to be sent to specialists for conservation, the council had the wood panels dated using dendrochronology. Counting tree rings and matching their patterns doesn’t always work for thin panels (as opposed to logs or thick timbers), but researchers got lucky this time. The portrait was painted between 1537 and 1557, which makes it one the earliest surviving portraits of Henry VIII, who died exactly halfway through the estimated date range.